"Hiya! I’m Miia, a 25-year old Biomedicine student from Kuopio. Besides ESN, I can blame my Master’s thesis or my non-ESN passion, synchronized skating for the lack of free time. My ESN story is a very classic one: in 2013, after leaving part of my soul to beautiful Scotland, I was trying to avoid post-Erasmus depression by tutoring international students and decided to check out the General Meeting of ESN KISA… And I’ve been hooked ever since! I’ve met some of the most amazing people on earth, faced and overcome many challenges, been blown away by how much it’s possible to achieve by purely voluntary forces and all in all gotten so much more than I expected. Now I’m looking forward to yet another magical year of doing what I love!" "Hello everyone! I am Toni Tamminen, a 23-year-old Master’s student in Biomedical Engineering in Aalto University, and soon to be relocated to Kuopio for Medicine studies. I first joined ESN Aalto in 2013, and inspired by this did my non-Erasmus exchange last year in Mumbai, India. I have learnt so much new and been tested by challenging experiences, both in ESN and outside of it. I felt the natural course of action was to apply for the national Vice President role to further implement my learnings from local level." "Hi everyone! My name is Pablo Guillerna, I come from Spain, I´m 23 years old and currently studying my Master's in Early Language Education for Intercultural Communication in Joensuu, the city I've been calling home for the past 3 years. Something about myself, I am an extremely motivated person, who loves to make others happy and enjoy life. This is my second term in the National Board, last year I performed as National Section Coordinator and this year I will be your National Representative, this year will be also my second term at the International ExchangeAbility Team. During this year I would like to involve Finnish ESNers and the sections a bit more in the International matters and represent you all doing my best. I'm very excited about this second term and want to pay back your trust electing me with a great performance throughout this year! Can't wait to start working with y'all!! I am a very approachable person so don't hesitate to drop me a message or an e-mail if you feel like getting involved in the International Level of ESN! " "Hallo! I’m Anni and I study German translation and interpreting in lovely Turku. 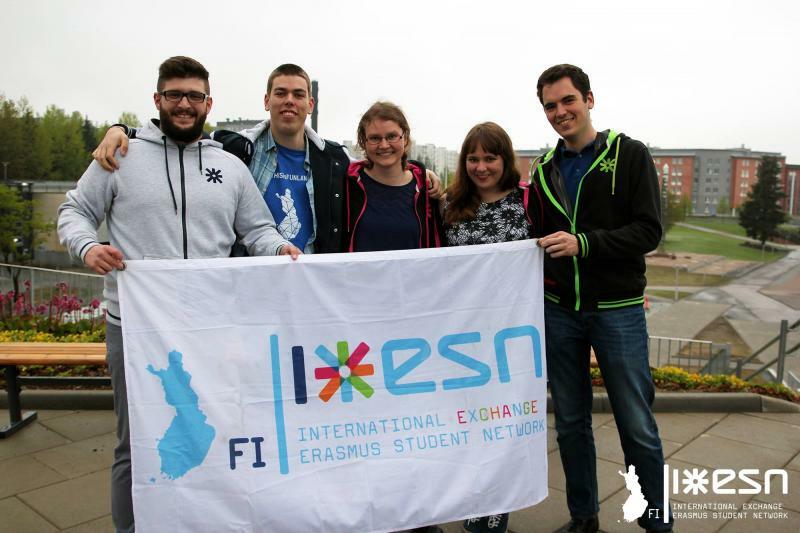 I joined ESN Uni Turku in autumn 2014 after my own exchange year in Hildesheim. I jumped in head first and haven’t regretted it at all. After 1,5 years as a local board member I found my way to the National Board. I’m a coffeeholic, who loves salmiakki but don’t like chocolate that much. I love to read but I hate to (proof)read my own texts. I’m a bit of a grammar geek, though because of abovementioned reason there is sometimes stupid grammar mistakes in my texts. "Hello! My name is Maël Kimmerlin, I am 24, french, and I am studying for a doctoral degree in Helsinki. I did my Erasmus in Aalto University, Espoo, and since then I simply could not leave (I did not even try [wink] ). I joined ESN by joining ESN Aalto in 2014, and since then my involvement has only been growing to reach its current level. I love ESN and I am fond of IT stuff so I decided to combine both and join the National Board as webmaster. I am always looking for new challenges, new ideas and new things to do to best fit the needs of the sections."